Can anyone please recommend a seat / chair / etc for me to use in a hide, I have bad hips and being seated is a must. for long days i use an aluminium directors chair off the bay,had to add a couple of inches to legs so i could stand up quick when needed,but shoot mainly sat,,have had an artificial left leg for more than 45 years an my right hip is very suspect now.all in all fallin apart but it wont stop me shootin. Bergara Stag ..excellent piece of kit and the A1 Decoy chair looked useful although I have never used one. I am the same, cannot stand for long periods due to sciatica/back pain. 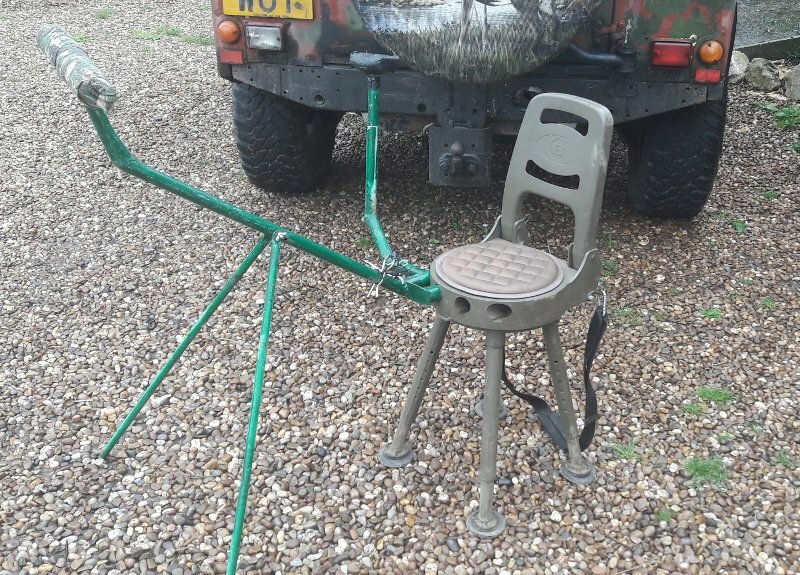 The Stag seat also swivels well and I have shot driven partridge and pheasant from mine with success. good back rest and easy to shoot from sitting down.. I also made a rifle frame for my Bergara Stag seat. Also note the added larger feet to stop them sinking. The A1's had similar. Don't use one myself but when picking up on a renowned high partridge shoot have seen a couple of guns shooting very competently from the Bergerac Stag seats. Our new commander chair is tall enough you can shoot stood up, and its very comfortable! They break down into parts that if in a carrier bag. We do a range of other seats but this is the tallest, we do the rifle version as well which rifle parts can be removed to be the same as the commander. Plus 5% discount for being a PW member, place online or give us a call and i'll process it. I also built an identical seat from an electric golf trolley so the drive battery doubles as my magnet power, work well but I prefer the pull along as its lighter to get in and out of the car.